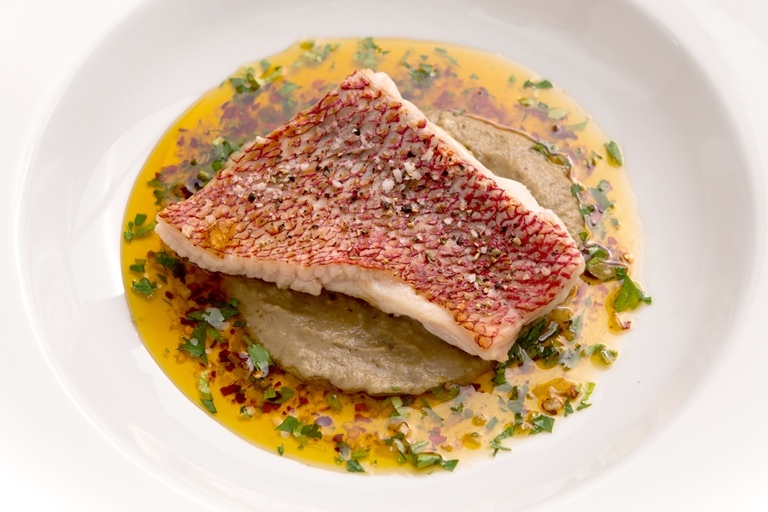 Red mullet is given the sunshine holiday treatment in this recipe by Bryan Webb, with a creamy Mediterranean-style aubergine dip and a punchy herb dressing. Buy the whole fish sustainably so you can use the bones and heads to make a splendid fish soup as well. Grey mullet or a good farmed sea bream can both stand in for red mullet if not available.